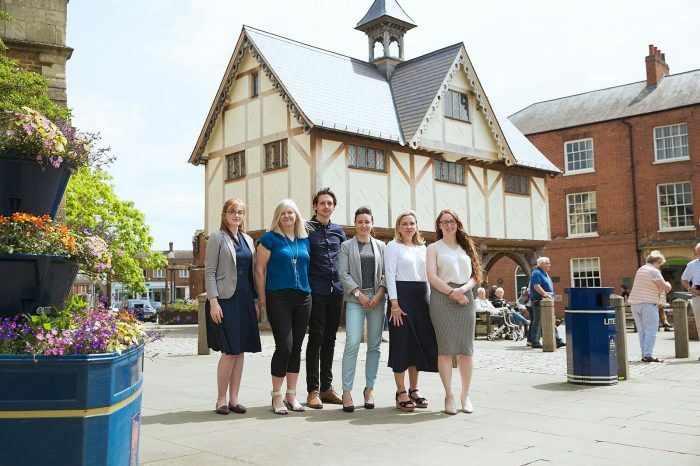 A full service marketing agency in Market Harborough has been nominated for two local business awards after the company’s founder and MD was taken ill very suddenly last year. The Ideal Marketing Company’s staff team was nominated by the new MD, Helen Campbell in the ‘Above & Beyond’ category for their response to the difficult period that the staff endured after owner Alastair Campbell (49) suffered a cardiac arrest at the company’s premises in June last year. A prominent member of the Market Harborough business community and President of the town’s Chamber of Commerce, Alastair’s sudden illness had a significant impact on the company as well as on the community. After a period with an interim MD running the company, Alastair’s wife Helen who had previously led the PR division, took over managing the company. Helen felt that she wanted to acknowledge the hard work that the staff had put in to help the organisation not only carry on, but to go from strength to strength. In the months that followed the tragedy, the team pulled together, staying true to the values that Alastair founded the company on, and even managed to grow in the face of adversity. The tangible results of the team’s hard work were shown in the first quarter of 2018 when the company recorded the highest ever turnover in its 15 year history. New MD Helen has also been nominated for the award ‘Business Woman of the Year’. The nomination is in recognition of Helen’s commitment to successfully managing the company while juggling family commitments and visiting Alastair in the neurological care home where he now resides.